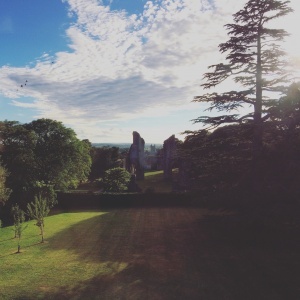 Ironically I’ve been a bit stuck with publishing my blog posts since I was on a writing retreat at the end of June. I’d been so inspired there that I was raring to go when I got home, only to find myself right back in the middle of “life” and things happening. A stark contrast between the sanctuary of the retreat I’d been on and the busy-ness of a city lifestyle. I was still able to write when I returned but for some reason I just couldn’t finish a piece to post on my blog. I had set myself the intention to post weekly, but found myself not being able to do it. It could have been procrastination. It could have been fear. It could have been that I needed time to integrate what I’d done at the retreat. 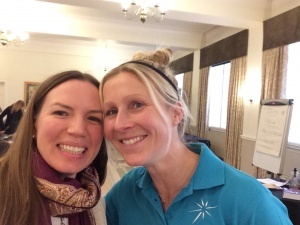 I’d been on such a high at the retreat when I’d shared one of my posts and received such great feedback, that when I was home and back in my “normal” environment, some of the old triggers were there and my mind kept telling me “That’s it, I can’t top that piece! I have peaked so I can’t possibly go on with this writing and write something that will be anywhere near as good as that”. Yeah, it was to me. Almost three weeks passed, and I had a session with my writing mentor in between and after that I was inspired to post again, but then the same thing happened….I couldn’t finish something. I thought I was stuck in fear again. So on Friday enough was enough! I knew something had to change. Over the weeks, months and years I have got to know myself pretty well, especially through creativity. I know my patterns. I know my flaws. I know my strengths, too. I took a moment and checked in with myself. I got honest and realised there was something I needed to do. I needed to take a break. A proper break. Get away from my desk, from my writing, from my other current priorities and switch off. Or at least dial down the noise, the distractions, the voice in my head nagging that I hadn’t done a blog post. I knew I needed my birds. I needed time to be. Grabbing my bag packed with my camera, travel sketchbook, notebook and pencils, I hopped on the bus to kickstart my mini mission to find one of my favourite birds that always brings me joy, the Dipper. I knew its hotspot along the Water of Leith in Edinburgh, a river that snakes through the city from the port of Leith at the north end to Balerno just south west of the city at the other end. Wandering around Dean Village I had no luck finding any, however, it was such a beautiful day I suddenly didn’t care. I was just pleased I was out in nature. I surrendered and with that, I felt fear melt away and all was well again. I felt relieved of the stuff that had been whirling around my head. 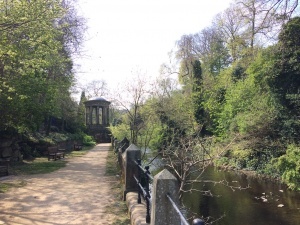 I walked along the water towards Stockbridge, and at St Bernard’s Well found a bench half in the shade, half in the sun, to sit and watch people and dogs walk by, or any birds that would fly past. I was there for a while, continuing to surrender and being okay with perhaps not seeing a Dipper. After a while something fluttered by and I got up to get closer to the water’s edge and saw a green finch on the other side. I then decided to meander towards Stockbridge and do a detour through the Botanical Gardens before re-joining the Water of Leith walkway. 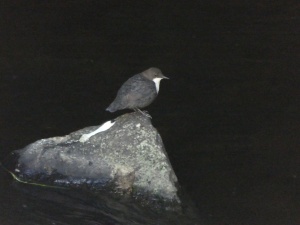 I’d only gone a few metres to where an older gentleman was stood watching the water and I saw what he’d seen…a Dipper! My heart jumped with joy. My patience and surrendering had been rewarded. I spent time watching the beauty; I think it was young as its colouring wasn’t as vibrant as an adult’s plumage. I took lots of photos with my camera too, though it was a little tricky since it was stood on a little rock in a very dark spot and I was in full sunlight. Playing around with my camera’s settings was quite fun and a learning curve. Fifteen minutes later I was ready to go and so was the Dipper. We parted and I continued on my walk, spotting a heron hiding between the leaves and trees, delighting me even further. I may not have written immediately after this little adventure but two days later I started writing the first draft of this post. My mini break in the afternoon had done the trick as well as taking time out over the weekend to properly relax. It showed me yet again how important well-being is for my creative flow and my creative work. Watching one of my favourite birds had soothed me and relieved me. Being in nature had helped me to come back home to myself again. What helps you when you feel stuck? Does nature have the same affect on you as it does on me? Tomorrow, Friday 23rd June 2017, sees the start of the Rock Trust Postcard Art Exhibition and Auction and I am very excited to be a part of it. Money raised from the sale of my framed piece, Hello Deer Original Sketch, will go to the Edinburgh-based Rock Trust charity to help them keep vulnerable young people off the streets and tackle youth homelessness in Scotland. It warms my heart that my drawing will be contributing towards a great cause. 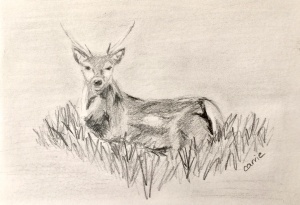 As for my drawing Hello Deer, it is a pencil sketch that inspired my original pen and ink drawing of the same name. I came across this young stag in February 2016 when I was on a weekend road trip in the North West Highlands doing research for one of my creative projects called Landmarks, Landscape and Language. That project resulted, amongst other things, in my two pastel pieces for last year’s Paintbox Summer Exhibition at Riccio Gallery in Dalkeith, Edinburgh. It’s so cool that one project can produce so many different things, and that the reverberations from it are still echoing now, more than a year later. Who knows what else will come of it? I remember the day when I encountered this deer by the side of the road. I’d got up early to make the most of the dry and sunny weather that morning and hiked up Knockan Crag, which had stunning views across the Highlands and the coast. 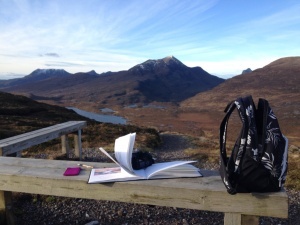 I sketched the mountains and took lots of photos for my research and drawings later. After my hike I got back in my rental car and drove along the road up towards Lochinver. I knew this road well since I’d been on a road trip in this area in 2013 when I fell in love with the landscape and knew I wanted to move to Scotland (I’d been living in The Netherlands and moved to Scotland in 2014). I didn’t go as far as Lochinver, instead I stopped at the south-east corner of Loch Assynt near Inchnadamph and took some photos, then decided to drive back towards the cottage I was staying at. I had only just got back on the road when I spotted a group of 6 or 7 deer by the side of the road! I’d been on the lookout all morning for any deer, well, for any wildlife, and there they were. Unfortunately, there was nowhere (safe) to stop on that stretch of the road so I accepted that I would only glimpse them and not be able to take photos. The memory of them would have to do! I carried on in the hope that I would encounter more – because, why not? It was possible there would be more around. Only five minutes later, if that, I spotted another deer at the side of the road and not much further along I saw a lay-by where I pulled in. I grabbed my binoculars and my camera and walked along the verge to get a bit closer. I was aware not to get too close though, it’s still a wild animal and I didn’t want to interfere. It was funny because he seemed to be a bit hidden by some bushes and his head kept popping up from behind them. I wondered if he was munching on the grass below. His antlers were short so I assumed it was a young stag. He captured my heart and took my breath away. As he wandered off, out of nowhere a second head with full grown antlers popped up right next to where the young stag had been! My heart jumped with joy. Was this a father and his son? 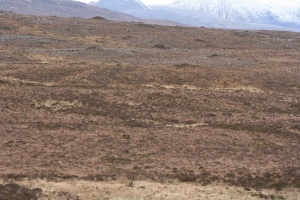 I stayed still and watched them both as they slowly started to walk along and up the hill, fading into the distance with their colouring blending into the landscape to the point I could no longer make them out (can you spot them in the photo?). In the meantime, a couple of cars stopped by the side of the road – not the lay-by I noticed – and people got out to take photos. I wondered whether this spooked the deers a bit and why they had started to walk away. 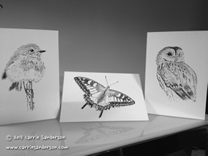 I returned to my car with a big smile on my face and I was eager to start creating new wildlife drawings, my mind spinning with ideas and images. When I got back to Edinburgh I used my photos, and my memories, of the encounter as my inspiration to make this Hello Deer sketch and then the pen and ink drawing. I wanted to celebrate this beautiful animal and express its beauty, or the beauty that I see in him, and how much I love wildlife. They have such spirit. I’m thrilled he will be featured in an exhibition from tomorrow. I also love learning how different cultures and traditions see animals and symbols, and what they mean to them. Particularly cultures that are still very much in touch with nature, the land and Mother Earth. I always learn something about myself, too. For instance, when I see a particular bird or animal frequently, and at random times and places, I wonder whether it’s there to give me a message, something I need to know…or it’s there just for my pleasure! As an example, in Native American Animal Medicine Cards the Deer symbolises Gentleness. And funnily enough, at that time I needed to be reminded of gentleness as I was going through a challenging time. Especially being gentle towards myself. But it’s only now looking back that I make the connection that these deers were trying to tell me that! 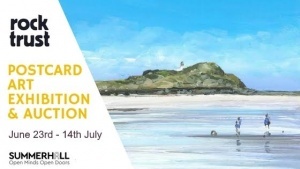 I hope you can make it along to the exhibition and enjoy the variety of work that is on display there – I may arrange a time and date when I’ll be at the exhibition so you can meet me and chat with me about my work if you’re interested to find out more. Keep an eye out on my Facebook page for this (make sure you like my page to stay up to date!). And if you like my Hello Deer framed sketch please make sure you bid on it! I’d love for it to go to a good home where it will be loved and cherished, and for it to raise money for charity at the same time. Thanks! Whilst I was visiting my parents and brother in The Netherlands last month I decided to set myself another fun little challenge. If you read my blog regularly, you may remember I had set myself a challenge when I was in The Netherlands for an extended break over Christmas and New Year. I’d created my own 21 day challenge, mainly to make sure I got out every day since it’s quite tempting to stay snuggled indoors when it’s cold and dark. Posting a picture on Instagram every day also made me feel accountable to go and do what I’d said I’d do! As a result of that 21 day challenge I am now in a habit of going out almost every day, which is a pleasing consequence of my efforts. You can read more about that challenge in a previous blog post titled “A Fun Little 21 Day Challenge”. Inspired by that, and in the days leading up to my recent trip, I was coming up with ideas for a new one. Something fun to do every day. 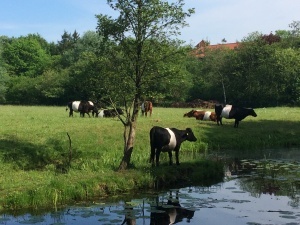 After mulling over a few ideas, I decided on taking photos of what I find beautiful in The Netherlands where I was born and brought up, posting them on Instagram and describing in a few words a little bit about each image. Not only was this Dutch beauty challenge a lot of fun, it made me think about and pay more attention to my surroundings, sparking feelings of gratitude and appreciation in the process. It also made me reminisce and remember the good times, and some of the not-so-good times, but which have shaped me into who I am today. I searched out a few favourite childhood spots. I noticed that there were things that had changed a lot since my childhood, like the centre of our village. But there was a lot still the same. I had a couple of ideas of what I wanted to take a photo of and share, but other than that I allowed myself to be surprised by what I remembered or discovered when I was out and about. I remembered cycling through the woods and the spot where the mosheuvels (moss hills) were, which you were not allowed to walk over, but as kids we would dare each other to do it anyway. I remembered the pannekoekenhuis (pancake restaurant) near the dunes where we’d sometimes go and then play in the field in front of it. It’d had an upgrade so it didn’t quite feel the same as before, but it was still lovely to be there. And to have a yummy bacon pancake, my go-to choice for Dutch pancakes. I remembered the beautiful sunsets I’ve witnessed from the strand (beach) and perhaps didn’t appreciate them growing up as much as I do now. That memory in particular created a strong pull in me to take in another one of those magnificent sunsets, so when on my second evening back I looked out the window of my parents’ house and noticed the sky, I thought “Tonight is going to be a good one, and I really want to go and experience it!”. I suggested to my parents that we go to the beach for the sunset and my dad happily came with me. 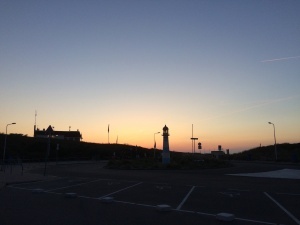 My hometown is near The Hague along the west coast of The Netherlands, and has a light golden sandy beach that is part of the beaches that stretch along most of the west coast. On that particular night it was quite clear and we could see some ships stationed in the North Sea on the horizon. When I squinted I could just make out the (controversial) wind turbines in the distance. I usually see them from the aeroplane just before we come into land at Schiphol airport. Dad and I arrived about an hour before the time of the sunset that I had googled to check up on beforehand so that we could have a walk as well as watch the sun go down. We both had cameras with us, Dad with his DSLR and telephoto lens, me with my smartphone. We headed south for about half an hour and then turned back when the sun almost seem to speed up in its descent, getting closer to the horizon and seemingly tucking in behind one of the ships. We sped up when that happened as we wanted a better angle to take photos of the sun disappearing below the horizon without the ship in the way! Although my dad took a few pictures with the sun behind the ship, and I thought they looked pretty cool. The colours were spectacular, soft pink, yellow and blue. When we got a view of the sun without a ship in front of it, we stopped to watch, as did a few other beach walkers. It was cold but we were wrapped up and, well, the unfolding spectacle before our eyes was worth it. I took a little 2 minute video of the sun making its exit, and dad and I discussed whether we would see the green flash or not. He said he thought he saw it through his camera lens, whereas I didn’t see it at all. When we were home later we looked at his photos on his laptop and thought perhaps he’d captured it. Hard to tell, but we’ll give it the benefit of the doubt! 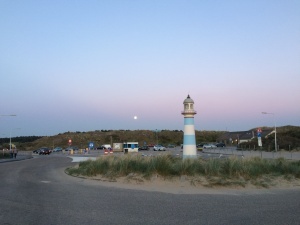 After the sun had gone down we wandered back towards the car park and saw the Full Moon in all its glory just above the top of the dunes. It was kind of magical seeing the sun to the west, and the moon almost opposite it towards the east. What I love about these challenges I’ve done is how creative and expressive I can be, how it helps me pay more attention and appreciate what’s around me. It inspires me, my creative work and contributes to building up my wellbeing. Especially when there are a lot of things going on in the world, like some “ugly” and upsetting things I feel I have no control over, it’s comforting to know that there is still so much beauty everywhere, not just in nature but in relationships with loved ones, kindness from strangers, hopefulness in our shared humanity and sticking together to make the world a better place. That joy can still be found each and every day – it is there, I just have to keep my eyes peeled or seek it out. And then embrace it with all my heart. If you’d like to see my Instagram photos (I love Instagram by the way! 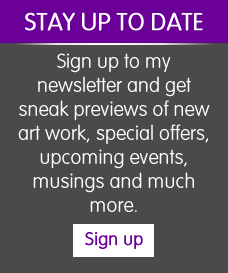 ), please click here and follow me to see what I discover and explore as well as what inspires me. You can also see my 10 day challenge photos there. During a recent trip to The Netherlands to visit my parents and my brother, my dad and I went to one of our favourite local bird hides on my last day. I wasn’t flying till the evening so I had a full day to do stuff. We parked near the end of a no-through lane in one of the handful of spots on the side of the road. To get to the hide we had to walk on a bike path over a drawbridge for bikes, crossing the Vliet canal as a couple of rowing boats passed under us. The wind had picked up causing the water to be a little choppy. To the south clouds were building but the sun was still shining through and the sky to the north was blue. It looked like it would stay dry at least for the morning. We followed the bike path to where it ran parallel with a one-lane road between two man-made lakes, the bird hide being on the bank of one of them. 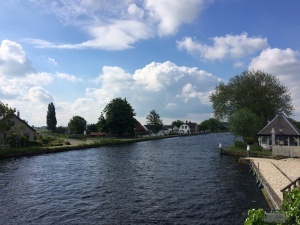 Here we left the bike path and walked along the embankment of Vlietland, the lake to our left. The path is normally a horse trail, but there was enough space to walk along it if we came across a horse and rider. Though we had to step aside when a man on a quad bike tore down the path leaving us in a wake of dust! 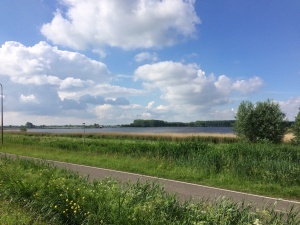 We decided to follow a path along Vlietland first, to see what was there before circling back round to head towards the bird hide at Vogelplas Starrevaart, the lake on our right. We walked along the banks of Vlietland and saw dozens of swans. Dad had read on the Internet before we set off that someone had counted 200 of them (there is a website you can access to see what people have seen on a day to day basis). We could hear a cuckoo in the trees nearby and as we circled round these trees we could almost pinpoint where it was by its sound (but we didn’t see it!). We were also hoping to catch a glimpse of a kingfisher in a pond on the way to the other lake, and instead found a heron standing still and tall in the water on the opposite side to us. We walked along the bike path again to get to the bird hide De Vogelknip, where upon entering I was delighted to see we were the only ones in there. Last time there’d been a group of birdwatchers (I’d guessed of my dad’s age, possibly retired like him) with their big cameras and telescopes and it was a squeeze to find a spot to sit and look out of the open hatches. A couple of the older Dutch women in there were chatting loudly and we wondered whether they were disturbing the birds! One of the older men, who I think had organised the outing, was trying hard to get them to lower their voices, or stop them talking altogether, but it seemed to fall on deaf ears. I had to chuckle and got on with my sketching and observing and I soon found myself in the zone and their chatting faded into the background. This time it was nice to have the hide to ourselves to enjoy the peace and quiet. Well, we could hear the birds chatting loudly but I didn’t mind that kind of chatting! Compared to my previous trip to the hide in March, where we saw lots of godwits, cormorants and oyster-catchers, this trip we encountered hundreds of swans, and a small flock of arctic terns, black-headed gulls and avocets, all nesting on the little island to the right of the hide. 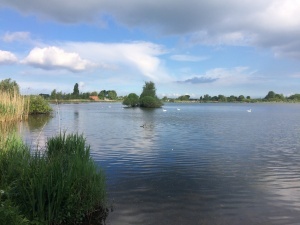 Amidst the hive of activity, we saw two terns mating, an avocet chasing off terns to protect its two chicks who were scavenging up and over the stones around the edges of the island, not quite dipping into the water and seemingly not aware of any potential ‘danger’. It was incredible to see how these three types of birds were co-existing on this tiny island. I took some photos as well, playing around with Dad’s camera and telephoto lens. Dad and I stayed for a bit then left as a couple were entering the hide. We said hello and walked back towards the beginning of the path to the hide where we could either walk back along the bike path or the path on the embankment that ran along part of the lake. I suggested we take the latter path through the grass and wildflowers as we would be able to view the lake better. Here we found ourselves surrounded by beautiful butterflies that we’d never seen before: green-veined whites and small coppers. 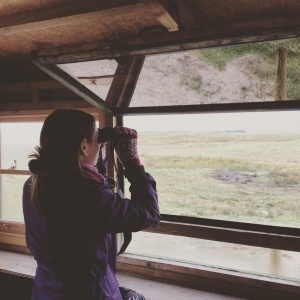 I wouldn’t say we were disappointed with the birds we’d seen from the hide, but there was perhaps a little feeling that we hadn’t seen what we’d hoped we would see. I guess we were secretly hoping there would have been more birds around as there have been times when the little island was overcrowded, and all the wooden posts in the water were occupied. But…the best was still to come. We had only walked a few metres along the embankment when I suddenly saw something in the distance. It looked bigger and browner than the arctic terns who were flying over us with flapping fish in their beaks, fish that seemed at least three times larger than the size of their beaks. I held my breath as I thought “Could it be?”. I looked through the binoculars, and yes, I was right. It was a bird of prey! 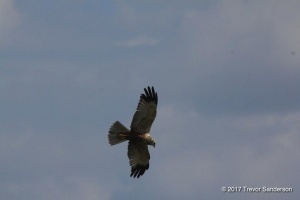 I pointed towards it and Dad looked through his camera to identify it and said it was a marsh harrier. Hovering over the reeds, not disturbed by us in the slightest, the marsh harrier was going back and forth, every now and then flapping its wings rapidly whilst looking down, obviously on the hunt for food. It was incredible to watch. We saw him three times as he came and went and must have gone down into the reeds when we could no longer see him. In the meantime, a stork flew over – I’d thought it was a heron from a distance but looking through my binos I was surprised it was a stork. It looked huge due to its wingspan. Nearby there was a stork’s nest on a pole in someone’s garden and we assumed it was one of the parents, possibly finding food whilst the other was on the nest. It was so much fun! To see as much activity outside of the hide as well as from inside. And I’d never seen a marsh harrier like that before. I loved how these birds were going about their business whilst only a few metres away there is the always busy A4 motorway, roads and bike paths with people continually passing through. The contrast between two worlds; however, they seemed to exist in harmony. 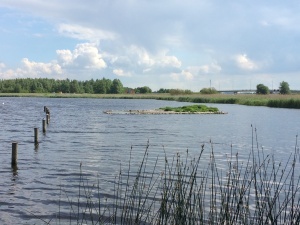 Vogelplas Starrevaart is man-made and built for the purpose of housing migrating birds, and they seem to have embraced it and made it their own. We took our time heading back towards the car. I felt like we’d been out for hours but it had only been just over an hour and a half! We headed home to have our morning cuppa and to inspect the photos we’d taken and talk more about our little adventure. I’m thrilled that I have found something in common with my dad. Something that we can do together, just the two of us. I know for me it has made our relationship stronger, our bond closer. What I enjoy most is how similar we are when we are walking in nature and spot different birds. We will stop mid-sentence and point towards a bird, or ask one another “Did you hear that?”. Then we’ll continue chatting as if there hadn’t been any interruptions. We take our time during our wanderings, to observe the birds, and to take photos. Or if we’re in a bird hide, I will sketch as well. We fall into a similar rhythm without having to try. It just seems to happen. And I love how we stay in touch when I’m back in Scotland and we continue to share what we’ve seen through emailing each other our photos, stories or my drawings. Thanks, Dad! I love birds. They inspire me. It wasn’t always this way though. I remember I loved animals as a child, but then somewhere along the line I lost interest in them (even though at one point I’d wanted to be a vet! ), and instead turned my attention to studying, getting good grades, a degree, and a good job to earn lots of money. Because that is what makes you happy and that’s what you do with your life, right? Without going into too much detail, let’s just say that backfired on me! I found out in my twenties the hard way that that wasn’t going to work out for me. I had to toss out “The Plan”. 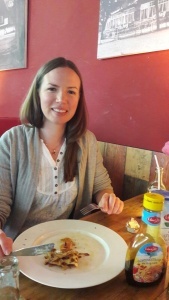 When I turned 30 I moved back to The Netherlands – where I was born and brought up – after having lived in Bristol, UK, for about six years. It was at a time when things weren’t going too well and I needed some time and space to figure things out. I moved in with my parents and that’s when my love for birds began. My dad was retired and into photographing birds. In my parents’ garden birds were prevalent: blackbirds, robins, thrushes, jays, jackdaws, and pigeons were always in and out, a hive of activity. Dad would often whip out his camera and beautifully photograph some of these garden birds. My mum had inherited my grandfather’s stone bird bath after he and my grandmother had moved into separate care homes and their house had been sold, and their belongings sorted through and either passed on or thrown away. 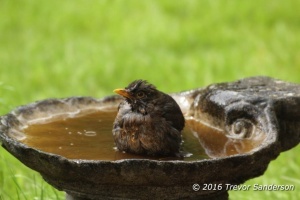 The bird bath took centre-stage in the back garden and I began to watch the birds when they would use it. Before this I didn’t know what all the fuss was about watching birds in the garden. I’d not paid attention to it nor was I particularly interested in it. But as I started observing the antics around the bath, the quibbles between the different types of birds, and using binoculars to study them more closely, I began to appreciate them. 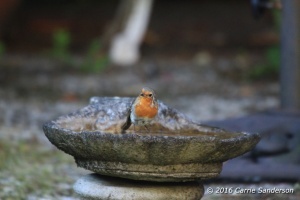 I chuckled as the scene around the bird bath reminded me of a television soap opera. Who knew there would be so much drama! Sometimes it seemed like a Saturday night gathering at a local watering hole. I don’t know if I was depressed in my early thirties, but I certainly wasn’t happy. The only thing that gave me any kind of joy each day were the birds. I would wish I was like a bird, able to fly away and be free…yet my life was the opposite: I felt caged, backed into a corner and unable to see a way out. 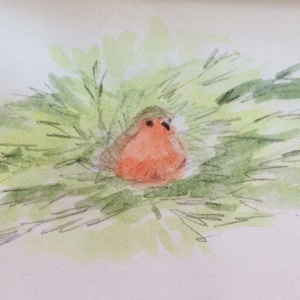 Robins are one of my favourite types of birds, and the irony wasn’t lost on me that my mum’s maiden name is Robin and I’d always called my grandfather ‘Grandpa Robin’. I loved the robins’ feisty characters for such a small creature. They could stand their ground. It was as if they were reflecting something back to me – my feisty and fierce side that wanted to come out yet I’d repressed because “nice girls” aren’t like that. I felt I’d shrunk and was hiding in my shell, yet these little guys and gals showed me that even small creatures can be like Warriors and stand up for themselves. I didn’t know it then, but that awakened something within me. Around this time I started writing children’s stories inspired by what I’d seen the birds do. Whenever I saw the birds, I’d imagine what was going on, what they may be saying to one another, and how I could translate those observations into stories that could help children realise it’s okay to be themselves, for example. I also started drawing again and discovered how much I enjoyed drawing birds: the intricate details of their feathers and patterns of colours, their stances, and doing my best to capture their characters the way I saw them. 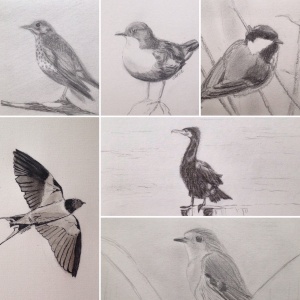 My dad’s photos of birds inspired my drawings, too; he seemed to capture them the way I saw them and felt about them. Mum and Dad’s enthusiasm for the birds had rubbed off on me. Or was it that I remembered that I had loved animals and the birds reminded me of that? In any case, my love for them grew and grew. The more I observed them, drew them and wrote about them, the deeper my appreciation and love went. The more I got to know the birds this way, the more I wanted to be around them, to see them, to hear them. They had opened me up and in turn captured my heart, softening me, reminding me of who I was and of my own beauty that I’d long forgotten. They’d become my beacon of hope and inspiration in the time I needed something to guide me out of a dark hole. Glimpsing a bird or catching the sound of their song brings a smile to my face and a flutter in my heart, and if I am ever in a rush they remind me to breathe and be grounded. Birds put things into perspective for me, too, and seeking them out continues to inspire my creative expression whether that’s through writing, art making and/or photography. I now can’t imagine my life without them. What captures your heart? How can you seek those things out more often? One of the beauties I love is Nature. Birds, landscapes, plants, flowers, wildlife, everything in nature. I love being in nature, too. 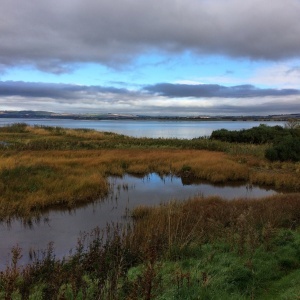 Last October, on our monthly mini-adventure, my lovely friend Heather and I visited the Loch Leven RSPB Nature Reserve. 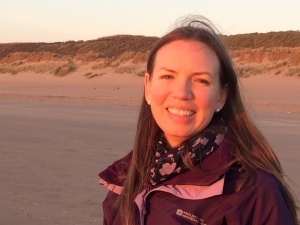 Heather and I go on a mini-adventure every month to explore and discover areas of Scotland. We’ve been hill walking, bird watching, and snowdrop exploring, to name a few. Mini-adventures like these are an essential part of my work and my creative process. At the time, I hadn’t yet been to Loch Leven RSPB reserve but I had wanted to go for ages as I’d driven past the sign for it on the motorway a few times. I also have an RSPB membership, which I hadn’t taken full advantage of, and I’d been a member for a while! I jumped on the train at Edinburgh Waverley and got off at Inverkeithing, just north of the Firth of Forth. I love going on that route as it takes you over the Forth railway bridge and the views are spectacular. There was a bit of haar (sea mist) hanging over Cramond and Edinburgh but I was sat on the other side of the train looking west where I could see South Queensferry partially popping through the haar as well as the two Forth road bridges, one of which is a new one being built. Heather picked me up from Inverkeithing and we drove towards Kinross but took a turning towards the south end of Loch Leven, only about 10-20 minutes from the train station. At the RSPB reserve’s visitor centre, we were greeted by a chirpy chappie who gave us a map and showed us where the bird hides were, and a couple of possible trails we could walk. We went straight to the first bird hide where we sat, waited and watched for ages. It was bliss. Using my binos and camera with a ‘new’ lens – I say new, it’s second-hand, as is the camera. My dad had lent me his old DSLR camera and a lens to see how I’d get on with them though he said the lens wasn’t working optimally. This one was 300m, my biggest one is 200m. I said I’d give it a go anyway – I could zoom into some of the birds better and capture them in motion. I spotted Whooper swans, lapwings, ducks, finches, herons, and black-headed gulls. The landscape was stunning. When we had arrived at the hide the loch was calm, there was hardly any wind. The only “disturbance” of the water were the birds floating around, taking off and landing. A big group of waders were huddled to the left from where I was sitting. It looked like they were still asleep, not much activity was going on. I noticed the seasonal changes in the landscape: grass, plants and shrubs were starting to turn yellow, red and brown. Patience is required when it comes to observing wildlife, yet I can happily sit, wait and watch. I love the stillness and I am completely in my element. The mental chatter is no longer going on in my head. I’ve become an observer. I am in the moment. Nothing else is required. I took some photos, and when the battery ran out (unfortunately, I’d left the ‘on’ switch on, or it was knocked somehow!) I got out my mini travel sketchbook and started sketching the scene in front of me, becoming even more present and aware. Mindfulness in action. Active meditation. Whatever you want to call it, I was in the zone, in a flow. I lost all sense of time. Time became irrelevant. There were two more bird hides that we went into and spent time in. 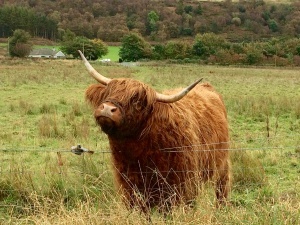 We also encountered a small herd of Highland coos (cows), two of which were using the wired fence as a scratching device. Highly entertaining! After that we were really quite cold and luckily there was a little cafe in the visitors centre so we got a hot drink and some lunch. There was a great view from the cafe above the RSPB visitor centre, which overlooked the loch. You could use their telescopes to observe birds, too. 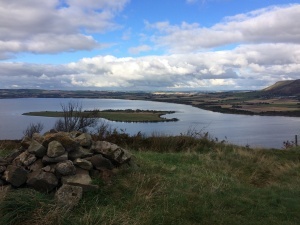 After that we hiked up the Woodland trail that took us to a viewpoint on top of Vane Hill, which gave us a panoramic view of the loch and surrounding areas. We spotted Bass Rock and North Berwick Law to the south. We couldn’t see Edinburgh as some hills obscured the view of the city. After the walk Heather drove me back to Inverkeithing station where I caught the next train back to Edinburgh. All day I felt amazing: spacious, calm and centred. Inspired. Even when I stepped off the train at Edinburgh Waverley and encountered a horde of people, it didn’t bother me. This feeling of bliss lasted the rest of the evening and that night I slept the best I’d slept in about two weeks. In the days after, it was on my mind how I could feel this sense of inner peace, bliss and calm within the hustle and bustle of the city. How could I embrace beauty and wellbeing like this in the city, without escaping it? That was something I would explore for myself in the next few months and which I’ll write about in a blog post in the near future. Where do you feel a sense of inner peace and bliss? Where do you feel most in the flow, or in the zone? What beauty moves you (to create)? Let me know in the comments below, I’d love to hear. 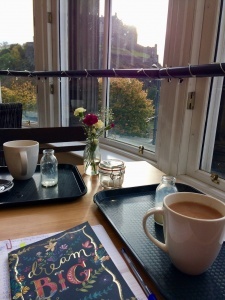 The other day I got up and went to one of my favourite cafes in the centre of Edinburgh to write and brainstorm a creative idea I’ve had for a while. I felt it was time to start acting on this impulse, because it wouldn’t let go of me. As if this idea had grabbed my sleeve and was tugging it, urging me to follow it the other way to which I was going. Like a child does when she wants to show you something, or wants you to play with her. Something wanted my attention. The tugs were getting more forceful, and I could no longer ignore it. This better way is potentially the idea tugging at my sleeve. I’d been ignoring it out of fear, because it would mean stepping into the unknown. I do love exploring the unknown, but I am still human and fear does pop up – in fact, it does so quite often, and I think it might come with the creative territory. I’ve been noticing it comes up even stronger when I am onto something good. So in my brainstorming session I wrote down all my thoughts about this idea of mine. It’s still not fully formed and it will need time to develop, however, I know I can start taking steps to make it a reality. Or at least explore what it is. Feeling all inspired I went for a walk to let this all settle, plus I wanted to go and find the Dippers. One of my favourite birds. I still cannot believe you can find them in a city like Edinburgh. I’d only ever seen them on nature programmes and thought they dwelled along rivers in remote landscapes. Even my Dad with whom I share a love for birds and bird watching / photography hadn’t seen one before and almost didn’t believe Dippers were here either. 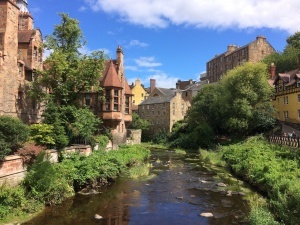 Recently I’d made the decision to walk along the Water of Leith where they, and other wildlife, live, at least once a week. This is an important part of my work and part of my creative process and I felt I wasn’t doing it regularly enough to keep myself inspired and my creative energy flowing. Julia Cameron in The Artist’s Way – a book on creative discovery and recovery – calls this “filling the well”. I love that. Julia says, “[…] we must learn to be self-nourishing. We must become alert enough to consciously replenish our creative resources as we draw on them – to restock the trout pond, so to speak. I call this process filling the well.” (p. 21). If I don’t fill my well, then I have nothing to give, creatively, or even in terms of relationships with family and friends. I cannot give what is not within me. In the past I tried and tried, but I would burn out, get sick and/or resentful. I was no help (or fun!) to anyone. Now I do things the other way round. I give to myself by filling my well and making sure I keep it topped up or even overflowing. I do so with my weekly artist/writer dates with myself such as browsing bookshops or libraries, perusing art exhibitions, and walking in nature and finding the Dippers, doing yoga regularly, to name a few. I was thrilled that I found three Dippers on my walk that day – and in their usual hotspots. I took out my small sketchbook and sketched and made notes of what I saw. Inside, my heart jumped for joy. 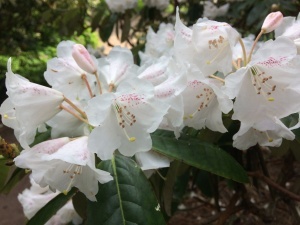 Not only that, I made my way to the Botanical Gardens to be amongst the tall trees and see the rhododendrons in bloom, which also delights me. 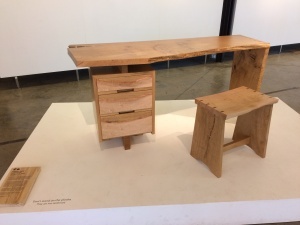 I was pleasantly surprised to find a small exhibition of gorgeous wooden furniture made from the trees in the gardens that had been uprooted by a big storm in 2012. I fell in love with the writing desk on display and wanted to take it home with me. When I eventually arrived back home I felt restored and inspired, and the feelings continued for a few days. I also made a start on my new idea! Seeking out experiences that make me feel this way is something I am committed to, and committed to doing more often. In a world where uncertainty is around every corner, at least I know for certain what makes me feel good and joyful, and I can choose to be in control of that. I believe it’s essential for my wellbeing and for doing my bit to hopefully making the world a better place. How about you? What do you do to fill your creative well? What experiences make you feel good and how can you do them more often? Please share below, I’d love to know. Last Sunday I was honoured to host the fifth Questioning Creativity panel discussion at the Scottish Storytelling Centre in Edinburgh. The topic this time was Breathing Space, one of my favourite things to explore and talk about. Along with my four panel members – Chris Dobson, Ellie Walker, Kara Brown and Dawn Breslin – we explored, among other things, what breathing space meant to us, how we deal with breaks and gaps in work, and how we could work more in rhythm with our natures. About three-quarters of the way through, the audience was invited to chime into the discussion to ask questions, and/or share their observations and thoughts. It was great having that extra interaction and connection. I enjoyed being a host this time (I was a participant in the Journey vs Destination panel) as well as meeting other creative people and hearing their stories. These Questioning Creativity panels are run by Edinburgh Student Arts Festival (ESAF) in collaboration with Sandbox. ESAF is Edinburgh’s first city-wide student arts festival that brings together five higher education and further education institutions across the city, and Sandbox is a new creative collective, formed by students in Edinburgh, focusing on collaboration and bridging the gap between students and industry. This particular panel was also part of ESAF’s arts festival that is taking place now across Edinburgh until March 5th, 2017. For more information about their other events, please see ESAF’s Facebook page. 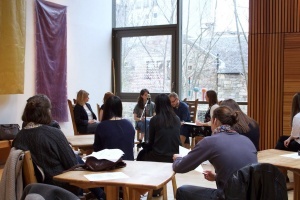 And if you’d like to attend the next Questioning Creativity panel titled “What is a Creative Career?”, it is at Edinburgh College of Art on Friday 3rd March 2017 – click here for more details. The Breathing Space panel discussion has been recorded and is now available to listen to as a free podcast. Please click on the link below and feel free to share it! P.S. If you’d like to listen to the other discussions in the series, please visit the Soundcloud page. Photos courtesy of Sandbox and used with permission. I often take myself on a date. An artist’s date, a writer’s date or a well-being date; whatever you want to call it, it’s doing something for myself that I love, enjoy and feel good about that nurtures my soul. For example, I will take myself to a bookshop café where I can do some writing and exploring of ideas, as well as spend time perusing books. The other day I was in the Waterstones bookshop overlooking Edinburgh Castle and browsing the travel section – travel writing as well as guide books – imagining where I’d like to go and explore (next). It also inspired me to remember my own travels and adventures and how I’d like to write about them more, and how I could start to make that happen. This is what I love about these dates: I never know what I’m going to discover! 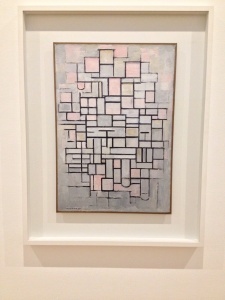 Exploring museums and art galleries on my own are my favourite kinds of dates, too. I observe what drew me to a piece. I look at what it is that I like and/or don’t like. What I could perhaps try or what I could take, transform and make my own. Or not! Sometimes I just go and take things in, with no agenda to do anything with it. I am there for the pure joy of the experience. My curiosity guides me and I trust it. I might pick up a book on a topic I’d normally not read, or I go and see an artist’s exhibition that I wouldn’t normally pay attention to. Something was sparked within me and I want to explore it further. It may not make sense at the time, but some time later it might. It might help me make a connection or a discovery that excites me, perhaps I learn something new. For me, this is part of the fun. I first read about artist’s dates when I picked up The Artist’s Way by Julia Cameron, what feels like many moons ago. She suggested doing them as you worked through the book week by week, alongside writing morning pages (stream of consciousness writing) and regular walks. These dates are integral to my life and underpin my creativity and well-being. They bring a smile to my face as I sit there in the café writing and staring out the window, reflecting on how blessed I feel that I can choose to spend my time this way. Where could you take yourself on a date? What sounds like fun to you? Feel free to share in the comments, I’d love to know. 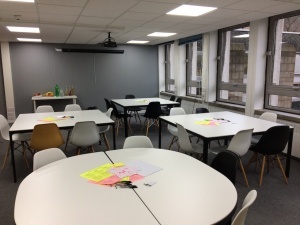 2017 kicked off with two goal-setting workshops for me: one of them I designed and ran for Creative Edinburgh, and the other one was facilitated by my coach and mentor, Kim Ingleby, where I was a participant. Both of them were about focusing and getting clear for the year ahead – or having a place and space to explore options and ideas if you didn’t have a clue what it was you wanted for 2017. I’d been working on my clarity for my intentions and ideas since December and I’ve been giving them time and space to unfold. It also helps me to journal about my ideas to see what to focus on and give my attention and energy. I’d like to do everything (at once and done yesterday please!) but I know these days that it’s better to do a select few things well rather than scatter and splatter across too many things and as a result not accomplish anything. I can do things sequentially instead, and there are some things I can combine, especially when it comes to my values and living my life according to them. I also accept that with making choices and selecting what to focus on there are things that I will not be able to focus on (so much). I’ve learned to be okay with that. Last Thursday’s workshop for Creative Edinburgh was a full house with people from different ages and backgrounds keen to explore their visions and dreams for 2017. For some it was clear what they wanted (and have been wanting for a while) but were unclear about why it hasn’t happened yet. Others were on the point of overwhelm and were not sure what they wanted so I suggested thinking about what they love and what brings them joy, and allowing themselves some space not to know the bigger picture right now. We are where we are and we need to focus on starting from there, not from any other place. That’s why I don’t believe there is a one-size-fits-all solution to goal setting, dreaming big and taking action. The day after running the Creative Edinburgh workshop, I jumped on a plane and flew down to Bristol to attend Kim’s “Make 2017 Brilliant” workshop at Bristol Zoo on Sunday. I also met up with one of my friends in Bristol (I used to live there) and one of her friends, and we spent time together catching up, hanging out and wandering around the Waterfront, Whiteladies Road and Clifton. It was a beautiful day, which made it even better. On the Sunday I went to Kim’s workshop and it was wonderful. I was pleased that I took the time out to be there (and to be in a different place to where I normally am – there is something about gaining perspective when you’re not in your usual environment. I think I read something about this helping with creativity and innovation in Wired To Create by Carolyn Gregoire and Scott Barry Kaufman). “What would you be doing instead?” she asked. What is the cost of not going for what you want? I thought. It shook me up and made me realise exactly what my top priority is in terms of my work and creativity this year. And it thrilled me to bits. I made a commitment there and then to follow through and make this goal happen – because I’ve been talking about it and dabbling in it for too many years now. In that time I could’ve already achieved it. I also wrote down my “Why” for this goal, and I am inspired. In fact, I’ve already been working on this goal daily for the past week or so, but now I am more determined than ever to give it my all. I know what I’d like to achieve with it, yet I am also letting go of the outcome being a certain way. For me it’s about enjoying the process, and the “product” will be a bonus. This is my time, my friends. No more waiting for permission to make it awesome. I am doing it! What is the one thing that if you focused on it this year, it would make the biggest different to the overall quality of your life? How can you start to focus on this habit/goal/practice (on a daily basis)?